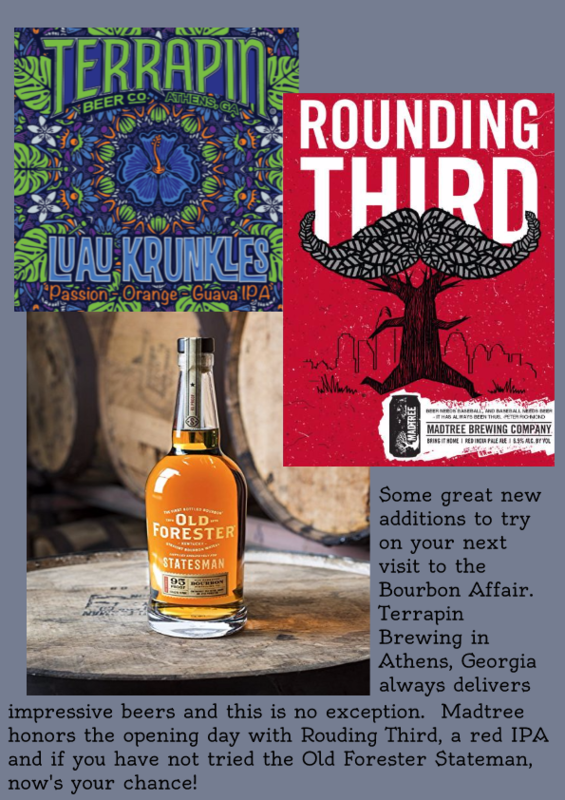 Terrapin Brewing, Madtree Brewing and Old Forester have recently delivered some great new options to The Bourbon Affair. You’ll find Psychopathy and Rounding Third, both from Madtree on tap and we also have their Proper Session Ale. You’ll also want to check out the Luau Krunkles from Terrapin which is a citrusy twist on a classic IPA. And certainly take time to sample the Stateman from Old Forester. A great addition on their already extensive line up!